For Bialetti Mukka Express 2 cups moka pot. 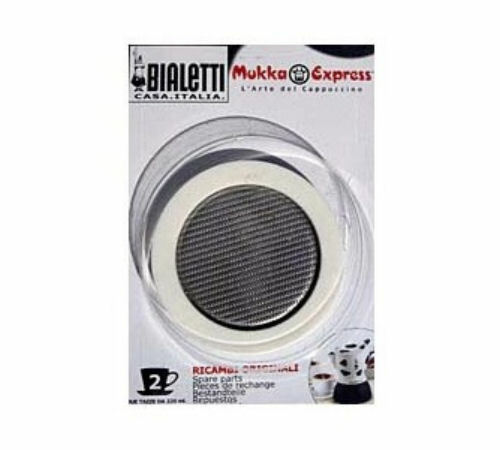 A set of 1 Bialetti joint + 1 filter for Mukka Express 2 cups moka pot. Replacement part for all Bodum 3-cup French Press coffee makers (350ml) with a nylon mesh filter.